← Is There an Age Bias in Venture Capital? Nothing turns heads like a shiny, elegant limousine. Maybe it’s the commanding presence, which makes it stand out among other vehicles. Or the prospect of catching a glimpse of some famous person through the tinted windows. As he grew up, Kelly put his dream behind him and moved on. He graduated from West Virginia University with a degree in marketing, then went to work in the steel piling industry as an inside sales representative. During a 26-year time span, he climbed the corporate ladder, holding a series of management positions and acquiring knowledge in budgeting, personnel and other aspects of running a large company. Eventually, he became Vice President of Operations for Skyline Steel, a steel foundation supplier owned by ArcelorMittal, the world’s largest steel company. While Skyline’s corporate headquarters are in New Jersey, Kelly worked from his home in Northern Virginia. publicly traded companies, including those in the steel industry. “I became the internal compliance person and, as a result, I wasn’t liked by my coworkers,” Kelly says. point where he’d had enough. “I wanted out of the steel business because it wasn’t fun anymore,” says Kelly. In 2004, Mary Kelly – aware of her husband’s childhood dream – bought him a special birthday present: a limousine. While the new set of wheels provided a fun way to get around, it also was the catalyst for something bigger. After consulting with a tax attorney, the Kellys decided to use their new acquisition to start a business. Rory Kelly worked at Skyline Steel for two more years. During that time, he researched the local limousine market, prepared a detailed written business plan, added to his financial cushion, lined up his first customers and took other steps to lay the foundation for his entrepreneurial endeavor – all while he continued to earn a steady income. Five years later, Fairfax, Virginia-based Prestige Limousine, LLC seems to be living up to its moniker. The company’s revenue rose 40% between 2007 and 2010, a performance that “has exceeded expectations,” says Kelly. 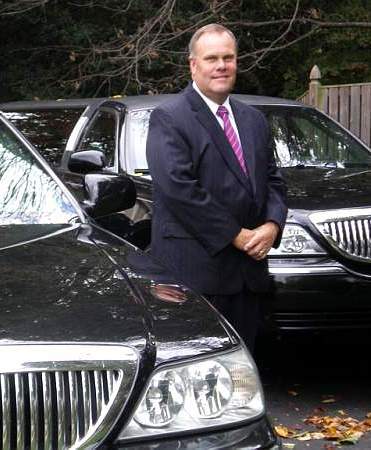 In accordance with his written plan, he markets Prestige Limousine as a backup service to a core group of ten other limo companies in the Washington, DC area. Overflow from these companies accounts for about 50 to 60 percent of his business. The rest comes from word-of-mouth advertising. costs while increasing revenues and profits,” says Kelly. integrity. He also adheres to a simple principle: “Always answer your phone and say yes, then do what you said you would do.” It’s a level of dedication that comes with a price. To avoid burnout, he and Mary recharge their batteries through periodic trips to the beach. He also makes time to play golf once a week with son Daniel, who works full time at Prestige Limousine. Despite the long hours, Kelly thinks the positives outweigh the negatives when it comes to being a business owner and an older entrepreneur. • Prepare a written business plan, regardless of whether or not you’ll need outside financing. • Think of everything. A business entails small and large details, as well as all aspects of your life (especially family). • Look at sales on a daily, weekly, monthly and annual basis, to obtain the data needed to make big-picture decisions. • Expect to lose money in the first year. Keep overhead to a minimum without sacrificing quality to the customer. In the end, Kelly thinks successful entrepreneurship comes down to something he learned during his days with the steel industry. Former Skyline Steel President Dave Clutter taught him this motto: Be profitable and have fun doing it. This entry was posted in Business, Career Changes, entrepreneurs, Entrepreneurship, Leadership, Retirement and tagged automotive, Business, career changes, careers, entrepreneurs, entrepreneurship, leadership, retirement, startups, success, weddings. Bookmark the permalink. This is an inspiring post. I will share with my husband. I hope your husband enjoys reading the post — and I’m glad you found it to be inspirational. What a great article. Rory lived next door to me in high school and we have been friends since then. He told me back then that his dream was to be a limo driver. I remember thinking back then about how he would be the perfect limo driver if he ever did it. It doesn’t surprise me that he is as successful as he is. He’s a perfect example of the “be profitable and have fun doing it” motto! I agree. It’s so simple, yet it really captures the essence of entrepreneurship. Excellent article. You read about success stories and strategies everywhere, but the simplicity of this makes it achieveable for all. To have the resources at such a young age and take the chance surely indicates that Mr. Kelly could also write a book or two about saving and living within your means. Without question, prudent financial management is a key component of Prestige Limousine’s success. Thanks for commenting. That is a very cool story, just goes to show to never give up on your dreams! You’re right. Tenacity is so important! Nice post. It’s really very valuable.